Due to their sheer size, difficulties with setting them up and their architectural requirements, installations are seldom presented as part of collection projects. At the exhibition Installation or Object? we will be showing a dozen or so works from the MOCAK Collection. Some of them have never been exhibited before at MOCAK. Installations are the result of the fragmentation of works of art, a process that started with the avant-garde of the 20th century. 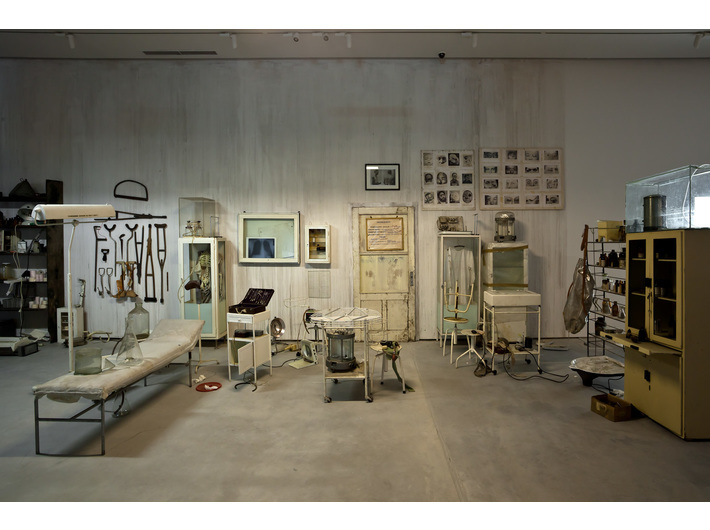 The installation arises through a juxtaposition of objects – ready-made or purpose-made for the occasion – with space. What matters most in an installation are the relationships between the elements or methods introduced by the artist and the space, which constitutes an integral part of the work. In turn, an object is the result of a broadening of the definition of sculpture. It is a spatial form that eschews the nobility of the material and the deftness of manual craftwork – albeit without completely ruling either out. Usually, an object bears no direct relation to the space. Artists do, however, like to push boundaries – this includes the media used – and so works appear that oscillate between installation and object. The exhibition Installation or Object? – within the scope defined by the title – probes the issue of the flexibility of media in contemporary art. The works on display have not been organised according to any particular theme. 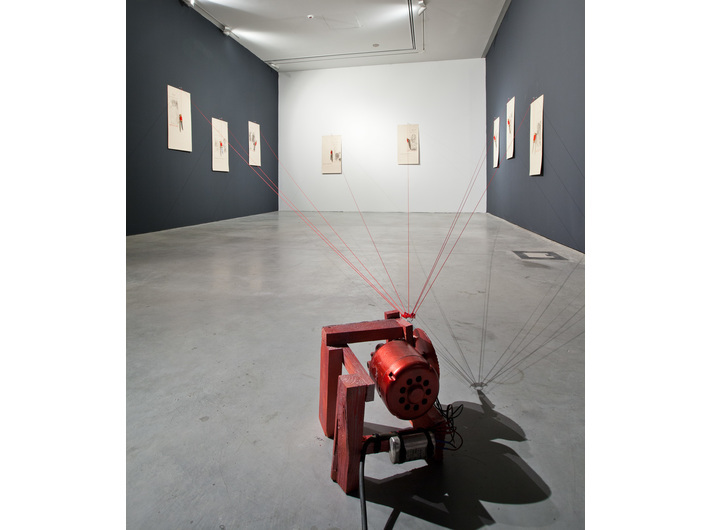 The exhibition aims to demonstrate what analytical, critical and also philosophical potential there is in an installation and an object – as well as how much most recent art owes to such experiences. 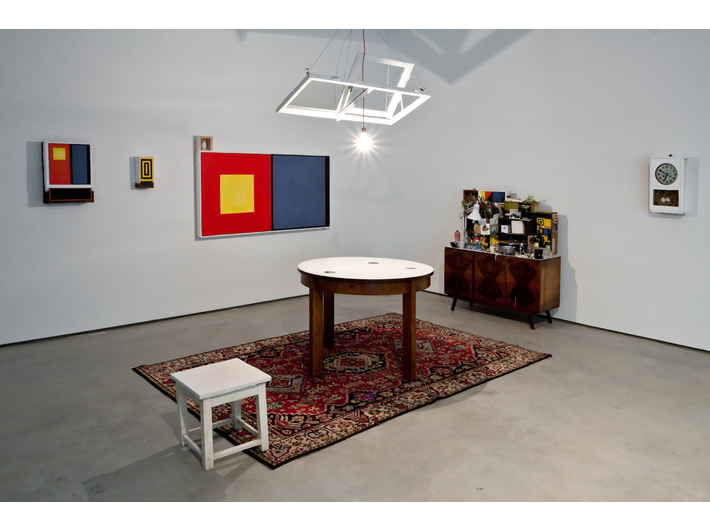 The final word on the confrontation between an installation and an object is the exhibition of works by Mikołaj Smoczyński Object, Space, Photograph at the Alfa Gallery (also from the MOCAK Collection). Smoczyński was an artist who interfered brutally with space with the installations that he constructed. Additionally, he introduced into space objects made specifically for the purposes of a particular work. The corollary of his actions was a photograph – in Smoczyński’s case, the only lasting trace of his art. The exhibition Installation or Object? Works from The MOCAK Collection will now be running only until 18 January.